An amazingly authentic Irish Cream flavor. 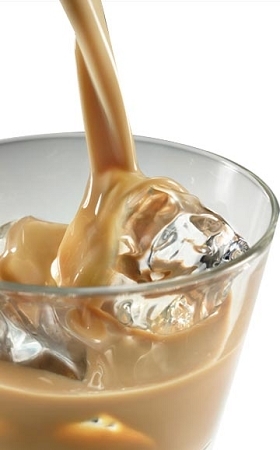 Enjoy a creamy, velvety mouthfeel with the finish you expect from your favorite Irish Cream. Oh, and lots and lots of vapor. This is a really good vape!! The notes were all on point. I had a hard time putting this one down. The creaminess with the big clouds made for an awesome vape session!! Just got this today, filled my carto with it, and it is quite good. Tastes just as advertised with a hint of the nuttiness of bourbon as well. Amazingly satisfying, and I will order this again. WOW! Taste just like Bailey's Irish Cream! How did they get the alcohol taste? I've died and gone to Ireland! In the evening, every now and then, I grab a cup of hot cocoa and add a splash of Irish Cream to it. Now I can have the creamy, smooth taste of Irish Cream any time I want. The vapor production is insane on this. While it could easily be an all day vape, I reserve it for evenings and late nights. It is truly an authentic Irish Cream flavor. Well done!! At first it hit me pretty strong, almost like I was vaping 24mg vs my reg 18mg but after 30 min or so it settled, maybe i should have let it steep a bit. Nonetheless still great juice, by far better then other Irish Cream I tried, maybe it has some sort of vanilla to give it that creamy taste but its really good. I vape it in the evening just like a good glass of Crown Royal. lol TH is great around 4-4.8V and a bit strong at 5-5.5V Vapor is so thick you'll get lost in it. Out of the possible 15 liquids I've tried from AltCig this is the only one that I didn't like. It had a taste of tequila in it (to me). But, I gave it to a friend and she loved it...go figure.